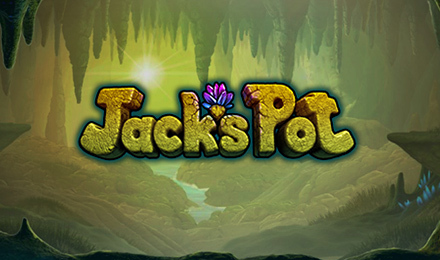 Spin to win Jack’s Pot Slots today with FREE Spins bonuses and sticky wilds! There are rewarding Scatters, helpful Wilds and more! Good luck! Jack’s Pot Slots is set in a cave, and features Jack himself, the red headed, big toothed funny looking creature who you may catch lurking on the side. The game’s Wild is the collection of gems, and it can replace any symbol except the Drill Scatter to complete a payline. When you spin 3 or more Scatters, the Crystal Rock Bonus will begin with FREE Spins and Amber Wilds, and there’s also a Progressive Crystal Jackpot that can be triggered at random.